“Even if you are not a fan of English history and know nothing of the metaphors and references the author has slyly inserted into the story, this book will draw you in as contemporary fiction, demonstrating that the human foibles are ageless and that a historical family drama can repeat itself. This is a great read, and I’m looking forward to a sequel featuring the Lanchester children, especially the son Harry wanted so much he was willing to marry again and again to get: the spoiled and entitled Jasper. “This novel promises to be uniquely different in its concept and delivery. And actually, that promise is fulfilled…in spades. 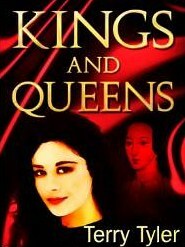 The storyline and characters very artfully parallel the life and times of Henry VIII in a modern day setting. I’m not going to say a whole lot about today’s guest as the answers will tell you more than I ever could. Full of personality and energy just from the words alone must make for a novel length full of my guests thoughts an amazingly good time. Meet . . .
TERRY: I live in the north east of England, but come from the Midlands/East Anglia. RW: I so love the British. And no, before anyone ask I do not have a contract with the Queen to promote her favorite authors. Although it is possible Terry is on the night stand of a certain young main with hair colored similar to mine. Now that we have that out of the way, what allows us to call you an Author instead of someone throwing wrods about? TERRY: I seem to remember that I used to write stories when I was a child. I wrote a load of astrology based short stories in my 20s. I bet they were dreadful, I’m glad I haven’t still got them! I wrote 9 or 10 novels in the 1990s, then nothing much for about 10 years, until I wrote You Wish in 2010. Happily, that coincided with the rise in popularity of the Amazon Kindle. RW: What genre does your book Kings and Queens fall into? TERRY: I suppose contemporary family drama, crossed with romantic suspense, with appeal to the readers of Tudor historical fiction, too. RW: Okay with that bit of mix and cross over tell us a little about the book and the main characters. TERRY: I was watching The Tudors on Netflix and suddenly thought “hang on, this is a marvellous story”; it’s always been one that interests me, anyway. I began to think how I could translate it into the present…. The story of property developer Harry Lanchester is told through the eyes of the six women with whom he becomes involved (only five of them become his wives). Their chapters are separated by the man’s eye view, that of Harry’s lifelong best friend, Will Brandon. The story spans the years 1971 – 2007. Each of the six wives is so different, with all sorts of experiences; many of the people who’ve read the book have named their favourites. The most popular one is Hannah Cleveley, my modern day Anne of Cleves. Then there’s fiery Annette (Anne Boleyn), former lap dancer Keira (Catherine Howard) and dutiful Kate (Catherine Parr)… as far as Harry himself is concerned, most people have found him arrogant and selfish, but not without endearing qualities. RW: Based on that answer and my obviously amazing Historian mind I think I know the answer, but why Kings and Queens? TERRY: All my book titles (except for You Wish) are named after Aerosmith songs, for no reason other than that they’re my favourite band and it amuses me to do so. I wouldn’t have chosen any of them if they weren’t totally appropriate, but so far the perfect one has always been there, waiting for me! Kings and Queens is a modern day re-telling of the story of Henry VIII and his six wives; although my novel is one about the king of a property developing company, it’s still very apt. RW: What age group is your basic target group? TERRY: Probably 18 – 65!!!! I’d say 25-55. 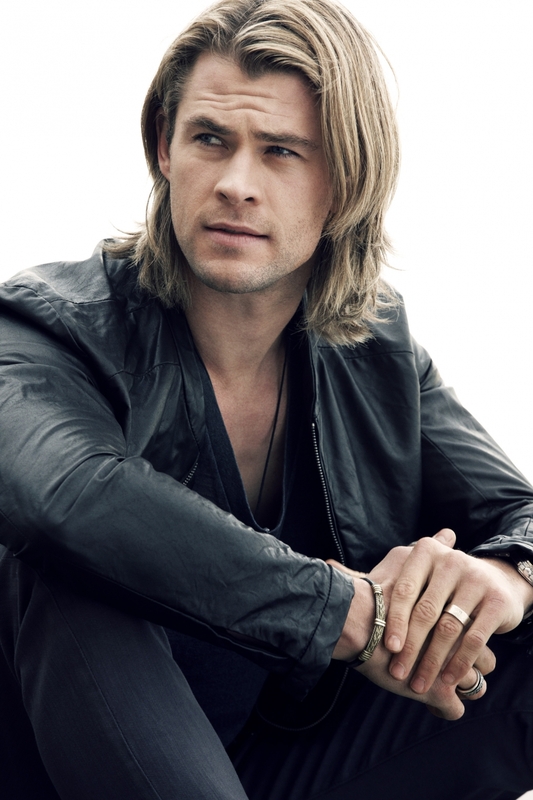 TERRY: Australian actor Chris Hemsworth would make the perfect Harry. Maybe Evangeline Lily for Annette. I haven’t really thought about it – I am not one of those writers who has book-into-film fantasies; though now you come to mention it…. hmmm…! TERRY: I don’t know. Maybe “don’t cheat on your spouse or you might end up dead”??? TERRY: That I like writing more than I like doing virtually anything. Yes, I even worked on it on Christmas Day. TERRY: (Deep breath… ) Douglas Kennedy, John Boyne, Deborah Moggach, Kate Atkinson, Emily Barr, Dorothy Parker, Susan Howatch, Elizabeth Jane Howard, Norah Lofts, Jack Kerouac, Phillipa Gregory, Jackie Collins, Bill Bryson, P J O’Rourke, Evelyn Waugh…. I’ll stop now! TERRY: Can I be really boring and say coffee? It’s the only one I can’t imagine a day without, so I suppose it must be my favourite! Has to be the real stuff, preferably freshly ground, and very strong. TERRY: I don’t ever get to a point like that. I love writing, always. I stop and do something else because I’m tired, or need some exercise, or because that bathroom won’t clean itself, not because it makes me want to explode. I never feel the need to escape from it. If I did, I wouldn’t do it. TERRY: I don’t choose a genre, I just write the story I want to write. I work out what genre it is when it comes to publishing and marketing it. That’s probably the wrong way to go about it, but never mind. They’re all roughly the same non-specific genre, anyway. TERRY: I’ve published 9 books on Amazon – 7 full length novels, I novella and a collection of short stories. They’re all contemporary drama/romantic suspense, though some are lighter than others. For instance, Nobody’s Fault is a fairly heavy family drama, whereas Dream On and Full Circle incorporate rock fiction and are quite funny. Essentially, though, I write about real life relationships (not just romance). RW: Do you currently have representation? If so who, and if not describe what qualities you would like in an agent and what you would bring to the relationship. Also how did you come to get signed. TERRY: No, I don’t have representation. I made a decision not to seek it anymore; I hadn’t sent my work to an agent since You Wish, but thought I would try again with Kings and Queens. The first agent I sent it to asked for the full MS as soon as she’d read the synopsis and sample chapters, but wrote back with suggestions for change that it would have made it a different book. I’m not closed to the idea of having an agent, and am open to ideas for improvement, but not so much that a book is no longer the one I want it to be. TERRY: The sequel to Kings and Queens, LAST CHILD, is almost ready to go to the proofreader…. TERRY: I am about to finish Sheer Fear by Geoff West, after which I will read The Gilded Lily by Deborah Swift. TERRY: If it’s your first time, don’t publish yourself or send to an agent/publisher without having a few people read it first, preferably ones who will tell you, honestly, if you have any talent for writing. TERRY: The complete works of Shakespeare. I’d never have to worry about paying the phone bill again! That’s kind of a joke, by the way. I don’t know. Possibly The Beach by Alex Garland, Cashelmara by Susan Howatch, or Norah Lofts’ The House At Old Vine trilogy – oh, I can’t make up my mind! TERRY: Haven’t really got one. I quite like ersatz and zeitgeist. I like words with zeds in them. Many thanks for inviting me onto your site, Ron, and I hope this has been of some interest to your readers. You now know why Terry was a guest today. Didn’t you have fun? I mean seriously, I never thought some of those answers were coming my way, and I actually laughed at times and smiled the entire way through. I want to thank Terry for giving in to my begging and agreeing to the interview. Now if she will please lift the restraining order, I will promise not to step foot in England again. Follow her everywhere, purchase her book, and always remember . . . Previous PostThe Gift of Charms @JuliaSuzuki_uk Q&A Read and you’ll want more of her.Next PostThe Blue Diamond by @PSBartlett A Top 10 of the Year from @KindleNinja Book Reviews! Author who like Aerosmith and who just writes the story they want to write – sounds like a real find.